I can’t believe I’m writing this, but as much as I love the spring, summer and fall, I’m feeling a bit of hesitation around moving away from the coziness of winter. 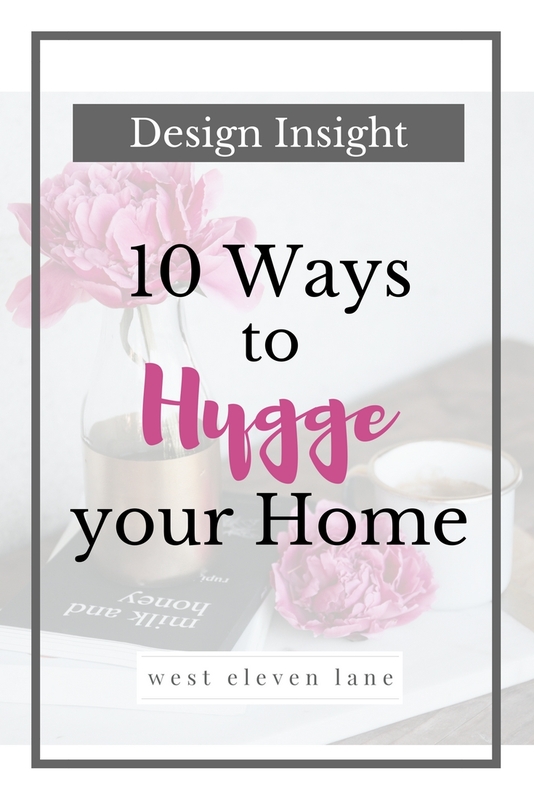 And although one of my favorite recent trends can be carried through all year round, there’s something about the colder months that really make hygge sing. Our love of small spaces may trace back to the time when we lived in caves and safety and protection were paramount. Everyone wants a comfy space! Think window seat or a cozy chair in the corner of a room. Add cushions, soft blankets, soft lighting, and a welcoming seat to climb into. I’m building out my home office in the rectangular nook of our master bedroom and I’m having a blast hygge-ing it out. Not only is this a welcoming place to sit quietly alone to enjoy comfort and warmth, it’s a great place to spend time with our loved ones to enjoy a feeling of togetherness. Although there’s nothing like the real thing, a gas fireplace would also do. Candle lovers, rejoice! It is actually suggested to light candles in every room. If you think about it, there really is no way to re-create the soft mood lighting given off by a candle. Be sure to take fire precautions with this as always. There’s just something grounding about wood. In a world of technology and plastics, the soft creak of a wooden floor underfoot or the smooth feeling of a wooden dresser sort of takes you back to what matters – nature. Hands down, my favorite quote from the book is: “Basically, you want to think: How would a viking squirrel furnish a living room?” Really anything from twigs and nuts to hides and skins to fruits and flowers get the green light. I’m not sure if I was the only one, but did anyone else completely not take to the reading tablet craze? I have personally always been a fan of the real thing. Who doesn’t like taking a break from reality while getting lost in a good book? Give me shelves full of books and accent tables stacked with books and I’m a happy gal. Where are my mug-obsessed friends? Hopefully all of you 😉 In addition to ceramic mugs, you can also break out the decorative bowls, vases and sculptures you no doubt have tucked away. Hygge is very much about how things feel. Varying materials in any space is an easy way to incorporate contrasting textures. Homemade decor is a great way to incorporate hygge in this way. Another big trend this year, items are repurposed in hygge and natural wear and tear is celebrated. Vintage pieces tell a story, they have a personality, and they hold emotional value. Really, who doesn’t love nostalgia? To snuggle up with these pieces is very hyggeligt…not only for warmth but also comfort. Play around with varied sizes and fabric textures and enjoy the feeling that really…everything is going to be okay. Are you ready to tackle the Danish philosophy of hygge in your home? Let me know if these implemented changes make a difference in your happiness and well-being! Head on over to our Facebook group where you can share your experience with others and obtain more expert design advice!